What:Marketers are gearing up early in anticipation for 2014's Fifa World Cup, in Brazil. 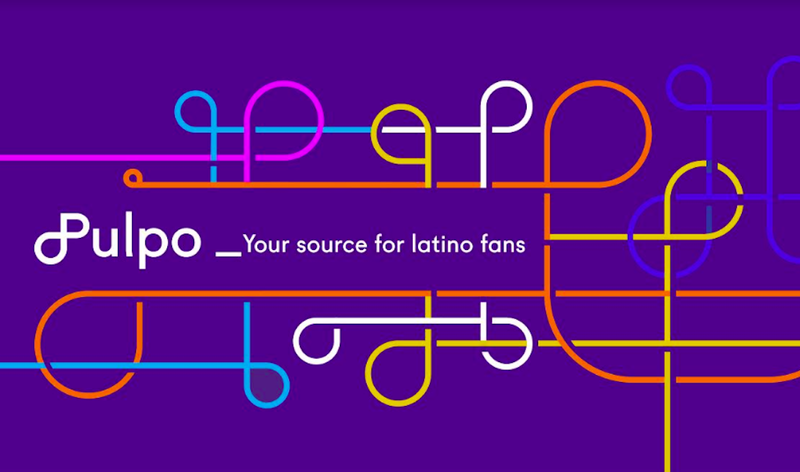 It is seen as the most important news event platform for Hispanics. Many marketers, including Gonzalo del Fa, president Group M Multicultural in New York City, began conversations with their clients in 2012 and have already closed some of those deals. Digital media has increased tremendously since 2010's Fifa World Cup. Why it matters: 3.2 billion people around the world watched the 2010 World Cup. In addition, as Group M’s del Fa puts it, the World Cup is "DVR proof: 90% of views are live." That is attractive to marketers as viewers are less likely to skip commercials. Also, because of the many options people have to watch their favorite television shows after originally airing – YouTube and Netflix, as well as digital recording devices – sports programming is seen as a better bet. The 2014 Soccer World Cup to take place next summer in Brazil will be a major factor in Corporate America’s marketing plan towards the U.S. Hispanic population. Already at the end of 2012, major agency executives started to discuss with their clients their involvement in next year’s major event. “We started the conversations with our clients at the end of 2012 and we have already closed deals for some of them. We have only few negotiations left that we expect to ﬁnalize in the next weeks,” Gonzalo del Fa, president Group M Multicultural in New York City tells Portada®. Group M’s clients include major marketers like AT&T, Macy’s, Subway and Ikea. “We started looking at partnerships for our beer client for 2014,” says Oury Tamboura, Senior Media Manager at Horizon Media in Los Angeles, where she plans and buys Hispanic media for clients including Crown Imports (Corona). “We have been talking about how to approach the World Cup with many of our clients. Given the scope and scale of the event, there are many ways to get involved and integrate a World Cup strategy as part of a client’s holistic approach from now through the games next year,” says Marla Skiko, VP and Director of Digital Innovation for SMG’s Multicultural Division. “The World Cup is the most important news event for Hispanics every four years. It’s the Superbowl, Final Four, World Series and NBA Finals all in one,” claims Penni Barton, publisher of the Spanish-language newspaper Al Día Texas. “As we all know, World Cup is a huge event for the Hispanic community because ‘fútbol’ is part of our lives,” says Group M’s del Fa. Del Fa, who is based in NYC but was born in soccer-crazy Argentina, notes that the World Cup is also a truly global event as 3.2 billion people watched the 2010 World Cup around the world. “That is why many clients are looking at this asset as a global initiative, not just a local effort. Even in the U.S., the World Cup is not just a Hispanic event – over 24 million people saw the ﬁnal between the Netherlands and Spain in 2010. Almost 9 million of them watched it on Univision and almost 16 million did so on ABC. One question mark remains in the midst of all the excitement. In mid-June millions of Brazilians took to the streets all over the country in social protests for more education, health and transport services. Protesters armed with screwdrivers and slingshots clashed with police near Rio’s legendary Maracana football stadium where Brazil defeated Spain to win a third successive Confederations Cup. According to many of the protesters, the Brazilian government cares more about the FIFA World Cup and Olympics than about education and healthcare. Despite the social turmoil, polls have shown more than two-thirds of Brazilians support their country hosting the World Cup for the ﬁrst time since 1950. Sports media entrepreneurs do no foresee major disruptions during the 2014 World Cup. “We have full conﬁdence in Brazil’s infrastructure and security, as well as the coming together of the people of Brazil in delivering a successful World Cup,” says Félix Sención, CEO and Founder of The Mundial Group. For many brands sports marketing budgets can take a share of more than three quarters of overall marketing budgets. One such example is NAPA Autoparts, whose Hispanic Advertising Agency is Atlanta-based PM Publicidad. Napa Autoparts is the official sponsor of the Méxican Soccer Federation as well as of the Tour of the Méxican Soccer National team in the U.S.
One publication that receives mostly men oriented advertising is Fútbol Mundial. A publication exclusively devoted to soccer, it has a circulation of 904,000 and is published as an insert in the leading Spanish-language newspapers coast-to-coast. “For 2014, we are expanding circulation and are receiving bids to be part of the larger distribution during World Cup year,” says publisher Félix Sención. Sención also leads a digital ad network called Mundial Sports Network. “Mundial Sports Network is offering fully integrated digital sponsorships for the World Cup across all 4 screens. We reach millions of Hispanic sports fans across our network of affiliates, and we produce and publish original, branded sports content for our advertisers including full brand integration within our coverage,” Sencion adds. Most importantly, as Group M’s del Fa puts it, the World Cup is “DVR proof: 90% of views are live,” says del Fa. In the era of time shifting technologies, this is extremely attractive to marketers, who know that live viewers are less likely to skip commercials. Sports programming is a better bet for network broadcasters than almost anything else. The rise of online video providers – such as Netﬂix and YouTube, as well as the increasing use of digital recording devices – are giving audiences unprecedented choices about what they watch and when they watch it. That is why ratings for most TV networks have fallen sharply. The big exception is sports, which has been practically unaffected by the general ratings declines. According to a Nielsen study, viewers watched 97% of sports programming live in 2012, down slightly from 98% in 2008. Those same viewers watched just 75% of non-sports programming live, down sharply from 93% in 2008. ESPN, which has aired every World Cup except one in 1982, has the English-language TV rights to the 2014 Soccer World Cup in Brazil. Fox won the rights to the 2018 and 2022 World Cups. Univision holds the 2014 Soccer World Cup Spanish-language broadcast rights. However, in 2011, Telemundo won the Spanish-language rights to air the 2018 and 2022 Soccer World Cups over Univision, which has aired every World Cup tournament since 1978. Soccer World Cup broadcast rights belong to the most coveted content properties. Interestingly the rights to air in Spanish-language are worth more than the rights to air in English: Telemundo paid more than US $600 million for the Spanish-language rights to air the global soccer tournament in 2018 and 2022, more than the US$ 400 million Fox paid for the English-language rights. While the networks sell TV ad space inventory to national advertisers, other organizations often sell to local and regional advertisers. This is the case of Time Warner Cable which sells local advertising into ESPN properties, including the 2014 Soccer World Cup. The Soccer World Cup takes place every 4 years and the media and advertising landscape has changed since the 2010 South Africa World Cup, particularly digital media. SMG’s Skiko notes that “as the use of digital media continues to grow across multiple screens and devices, it is important we approach any plan or program with digital at the core. The Soccer World Cup is no exception as we know engagement will be happening on many devices and in real time. We believe social and mobile will be especially crucial. Advertisers need to ﬁnd the best ways for an overall integrated approach that capitalizes on how people will be not only watching, but also discussing, sharing and commenting on all aspects of the games and their teams." Grassroots amateur soccer events are a great way for many media properties to connect with the local community as well as to increase revenue streams from sponsorships. Copa Al Día, organized by Dallas/Ft. Worth Al Día, features 136 teams for approximately 1,500 local youth players, ages 5-14 years old, and is open to both select and recreational teams. Copa Al Día 2013 is presented by The North Texas Chevy Dealers Association in partnership with Burger King, MetroPCS, Azteca Dallas 55, and ESPN Deportes Dallas 1540 AM. New York City’s Spanish-language daily newspaper Diario de México USA organizes a similar league in the New York Metropolitan area. Another grassroots soccer league organizer is Alianza de Fútbol Hispano, an organization exclusively focused on the organization of soccer leagues. Founded in 2004 by Brad Rothenberg and Richard Copeland, Alianza de Fútbol Hispano is one of the largest grassroots soccer programs in the United States, hosting amateur, soccer clinics, and access to pro scouts from the Liga MX, Major League Soccer (MLS) and American colleges and universities. Alianza de Fútbol Hispano recently struck a deal with LeadDog Marketing through which Alianza de Fútbol will launch the Alianza U program, in partnership with Verizon. The program is designated to help Hispanic players and their families understand and navigate through the college recruiting and admission process. Alianza U provides year-long access to students, helping them with the college application process, college recruitment requirements, ﬁnancial aid and scholarship information. Hispanics love to go to Latin American sports websites to follow major sports events. Journalists at these websites cover soccer matches with a lot of knowledge, passion and resources. Major sports sites include México’s mediotiempo.com, published by Time Inc. owned Grupo Editorial Expansion and Argentina’s canchallena.com (published by La Nacion) and ole.com.ar (owned by Clarin). Spain’s Marca.com (Unidad Editorial) and As.com (Grupo Prisa) also attract substantial U.S. Hispanic audiences. Miami based Medula Network, an online ad network that targets the U.S. Hispanic and Latin American space, that grew out of PAL (Periodicos Asociados Latinoamericanos) offers U.S. Hispanic impressions and customized packages in the online sports sections of its Latin American newspaper affiliates. Medula CEO Vicente Jubes notes his network also sells U.S. Hispanic audiences that visit 100% sports oriented sites such as Marca.com, Ole.com.ar, Diez.hn, Sport.es, As.com, Libero.pe and Laaﬁcion.com. One company that has been able to develop a very strong database of Hispanic and non-U.S. Hispanic U.S. soccer fans is Sports Endeavors. It is known to many as Eurosport, the title of its soccer catalog, which has a circulation of 1 million a year and is dropped nationally 14 times a year. Based in Hillsborough, North Carolina, Sports Endeavors, Inc. was founded in 1984 by the Moylan family to provide American soccer players with equipment and information. In almost three decades it has developed into an Amazon.com of soccer related items such as equipment, apparel, footwear etc…. Sports Endeavors has beneﬁted from the fact that the U.S. has one of the most diverse soccer fan bases in the World. This fan base includes constituencies as diverse as Major League Soccer Fans, Hispanic Fans, European Fans as well as Amateur Soccer Players. “Sports Endeavors sales to Hispanic consumers amount to approximately 20% of its overall sales volume,” says Vicente Navarro, Hispanic Market Director at Sports Endeavors. The company’s database includes more than 100,000 addresses of Hispanic active buyers and 6 million different data points on Hispanic households. Most of these clients receive the Eurosport catalog, which has an average page count of 100 pages. 85% of Sports Endeavors sales occur over its different websites (e-commerce). Its main website is soccer.com which according to Navarro receives more than 4.5 million unique users every month. Soccer.com showcases a selection of top of the line soccer merchandise used by world-class players and teams. It carries brands including Adidas, Diadora, Nike and Puma. The U.S. Has One of the Most Diverse Soccer Fan Bases: MLS Fans, Hispanic Fans and Amateur Players. Another feature of Soccer.com is that consumers can shop by players, countries or famous soccer clubs. Soccer.com also hosts official online stores for apparel and equipment of many famous international soccer clubs, including Real Madrid, F.C. Barcelona and Bayern Munich. While Sports Endeavors Inc’s primary objective is to sell soccer and other sports related items, it has developed a large client database which it offers to marketers interested in reaching the U.S. and U.S. Hispanic soccer fan. The digital and print media Sports Endeavors offers includes Package Inserts, Inserts and ROP ads in the Eurosport catalogue, e-mail marketing as well as display and rich media advertising on soccer.com. Sport Endeavors clients include American Airlines, Budweiser, Lowe’s. ESPN Deportes magazine has been inserted in the past in packages that Sports Endeavors mails out to its Hispanic clients. Notmusa’s Record Magazine has also been inserted in the Eurosport catalog.